They started 4-0 but it didn’t take long to bring it all back to reality. Your Vancouver Canucks are 4-4-1 now and the dreamers and unicorn chasers have all gone into hiding. It’s not pretty anymore, no one is scoring goals and even Luca Sbisa is back to guaranteeing your pie in 30 minutes or it’s free. 2017 is going to finish very similarly to 2016 and at the very least, there’s a chance the Canucks get a star this time. It took almost a week to score their next goal after the Canucks lost to the Ducks last Sunday. Part of that was too much passing, part of it was opponents having good goaltending and part of it, well most it was the fact the Canucks just plain ol’ stunk. You’ve heard me say there are bright spots on this team and I’m not lying, there are. Bo Horvat is doing his best to shake the funk that seems to surround him and at some point, he will and normalcy will reside on his stick. For now, it really doesn’t matter what he does because the guys around him aren’t following suit. Sven Baertschi looks snake bitten, so does Jannik Hansen (big surprise); goals have dried right up for this team. Ben Hutton is stringing along but even he looks a bit worn already. Let’s not even get into the Erik Gudbranson stuff, he’s not even defensive-defensiving. Not helping anything either are the injuries. They have already claimed uber defenseman Chris Tanev and Alex Burrows, not to mention Derek Dorsett and call-up Jayson Megna. How this has been addressed is it’s own story in itself. Watching Troy Stecher in the preseason was all any of us needed to see for him to be a lock on this Canucks team and to be honest a lot of other teams too! Jim Benning and Willie Desjardins had Philip Larsen as their back end guy to QB the powerplay and… honestly, I don’t know what else. Stecher proved he could do it all and was still sent down. It was easy to do because he could gain some experience in the AHL and get ready for his first promotion. Well, that happened pretty darn quick. Alarm bells should already have been going off when Nikita Tryamkin wasn’t even a choice to go in or even Alex Biega. It took ONE game for Stecher to show he shouldn’t be anywhere else but in a jersey that says ‘VANCOUVER’. They put him with Alex Edler to start his career, that’s the top pairing! There’s no way you can send this guy down now. Philip Larsen has existed and the brutally obvious funneling of the puck to his stick on the powerplay is nauseating. Not that he’s a bad player, he just isn’t the be all end all answer to their scoring problems. And that’s before they were problems. 3 assists to start the year aren’t enough to keep that mantle of top PP guy, even on this team. Saturday night against the Capitals proved Stecher not only needs to be plunked into Larsen’s role but he needs to be plunked in the lineup every night. Whatever kind of rebuild/rebrand/teardown this is, somebody has to be extracted out of this lineup. Looking at the options, only a few names should even be considered: Edler-safe, Tanev-safe, Hutton-safe, Stecher-safe, Gudbranson-safe. Luca Sbisa, Nikita Tryamkin and Alex Biega are your choices… THAT’S IT!!! The big Russian can’t be moved to the farm, Biega is waiver bait and then there’s Sbisa. He’s not the world’s worst defenseman but he’s not in the same hemisphere as the best. Philip Larsen does have a pretty good shot but that’s about it. Something has to give here. So to put it another way, Stecher has a bit more than 20 percent of the Canucks’ shots tonight. Team has 24. This isn’t a love-in with Troy Stecher, it’s the point that needs to sink into the Canucks decision making. They have a guy that does things better than 3 other guys, so change the guy who’s there. I mean jeez, they put Frank Corrado on waivers, traded Gustav Forsling and Adam Clendening; where does the bleeding stop? Willie finally put together a lineup against the Caps that resembled normalcy. Hansen with the Sedins and Horvat with Baertschi and Virtanen. Run with this for a bit, see what happens. His job has to be looked at if he keeps toying with the idea Jannik Hansen isn’t the best option for Henrik and Daniel. Screw the 6-year contract of Loui Eriksson (seriously, that long?) and do what’s right. The Canucks rarely do what’s right and THAT’S why they’re in this mess, to begin with. Eriksson will be just fine with Brandon Sutter and I guess Jack Skille or Alex Burrows upon his return. Losing is going to become, yet again, a regular occurrence so it might as well be done building chemistry. Nobody is content with circling back the wagon to “moral victories” or “Edler broke his stick again”; we need change. The Edmonton Oilers are freakishly close to righting their wrongs and that took, what, almost two decades! If Canucks management is willing to wait that long, the city will most definitely turn on them. We can only imagine Doug Jarvis will only stand for so much before he speaks out. That earpiece must have a lot of information that he doesn’t want coming out. But hey, tomorrow’s a new day. There are times I’m happy I that I don’t get overly emotional about the Canucks and their peaks and valleys. There are so many of them over the course of the season that I’d be in a straight jacket if I followed through on all of them. This year’s Canucks have been quite unpredictable and yet lately, as bad as they’ve been, the playoffs would include them if it started today. I hate to say it but the Canucks are so bad, they’re good. I have found it hard to believe that this team is at all competitive right now with the losses piling up like dishes after hosting Thanksgiving for both sides of your family. The compete level could be questioned and they’ll tell you they play to win but honestly, you can’t say you’re playing to win with the way you’re losing. After going essentially O-fer on the long road trip they have some big issues they need to deal with. If you think about it, the Canucks almost lost to Columbus, they actually almost lost to the Jackets! I almost wished they had just to confirm the miserable state they are in. Losing by a goal is still losing and as good as Jacob Markstrom and Ryan Miller are, they don’t shoot the puck 200 feet top shelf. Speaking of Ryan Miller, his “instinctual” style he has adopted this season has gone from adapting to just plain stink. It’s a little late to adjust your swing their tiger. Call a spade a spade and play the angles again. Jacob Markstrom will be there to challenge him and it won’t be surprising when the 2015/16 edition of the Canucks goalie controversy pokes its ugly head again. To be fair, goaltending is the least of the Canucks worries but its starting to become part of their problem. But what about the being good part? As awful as this road trip was, our Canucks hold on to the 3rd spot in the Pacific and they’ve done it with the biggest lack of swagger, Jay Z has asked they stop playing his music in their warm ups and in the dressing room. Especially this track. At 7-7-6, the OTL column is their biggest claim to fame and without them they’re tied for 2nd last in the freakin conference. Willie….you’re not a .500 team, not even close! Here’s another doozy, the Canucks are 2nd in the conference in goals for, yup…truef! On the road believe it or not has been the strong suit for the Canucks, 5-4-3. I’m not making these stats up, the NHL site is all seeing, all knowing and with loss after loss they still are technically a good team. That’s a very loose term but it is what it is. I can’t imagine they blow anything up or fire the coach but its concerning to say the least. They aren’t physical, they aren’t competitive, they don’t play 60 minutes, they don’t even play 40; the holes in the system they employ are hoola hoopesque. You can read this and criticize me because I’m just spewing off very available stats and a few catchy phrases but how is this not alarming? Every game on this road trip has been a tour de farce and with Chicago coming up this weekend playing like Stanley Cup favourites, they’re at the point where PVR’ing the game isn’t the best use of space. I love this youth movement and in a few years it’s going to be quite the ride but at the very least the veterans should be giving a bit more, no? This season has been so topsy turvy that LUCA SBISA was the Canuck we couldn’t wait to get back in the lineup. Think about that for a second. By getting hurt, Luca Sbisa has become a Norris Trophy candidate in Vancouver. Garret: “Without Luca Sbisa, the #Canucks have to have someone step up every so often like Edler did.” Sbisa’s legend keeps growing. I tried finding a Sbisa tweet where you all hated him but I stopped looking after 30 minutes because it seems everyone is undecided still. Last season, different story. There will be a formula to figure this stuff out but that guy is on holidays right now. Thankfully, rebound seasons from Jannik Hansen and Alex Burrows have made the sting less stingy (sp? not stingy but sting-y). Jared McCann has 6 goals to his name early in his career, Ben Hutton ever the popular one has 8 assists and rarely is brought up in the teams woes and some guy named Adam Cracknell has not only made the club but contributes a fair bit. Does this make the Canucks problems moot? HA not even close but as bad as they’ve been, it’s not as bad as it could be. Vancouver will have to get their ish together soon if they want to keep butts in the seats and entertain the notion of the playoffs, 4 games anyways. The Canucks have brought me to song and they’re losing…….. It really doesn’t matter the year; the Canucks have only given us hope 3 times past the regular season. The first, was obviously in 1982 when they ran into the dynasty New York Islanders and it was over quicker than me and tacos. The second kick at the can was in 1994, the reason most of us became fans in the first place, the reason this blog exists. That one ended in pain and the beginning of a long hatred towards Mark Messier. The final chance at redemption was in 2011 and quite frankly it hurt the most; having the best team in the league and failing to muster any fight in the final two games just isn’t right. After Saturdays loss to the Calgary Flames, the rational part of me says they weren’t good enough to beat the Flames. The fan in me however, was still bitter. It’s always the same result with these guys; why can’t they figure out how to get over that hump? Why can’t they just get it together. Year after year, the names may change but the story stays the same. Sometimes the names don’t even change. There are organizations that have seen the error of their ways and adapted, improved and won. The Canucks seem to be content with status quo or very close to. Why are they never a main player at the deadline or free agency? Why do they hold on to players long after their due date? It really is impressive. Committed to being a sheep and never taking a chance. When does it stop? Every team has made mistakes that they regret and if they learn from them, they usually don’t happen again. Trading Cam Neely is one of those mistakes, taking the plunge on Messier after he crushed the hearts of thousands is another. The Luongo saga, Pavel Bure, Mats Sundin, Cody Hodgson, Luca Sbisa, it goes on doesn’t it? 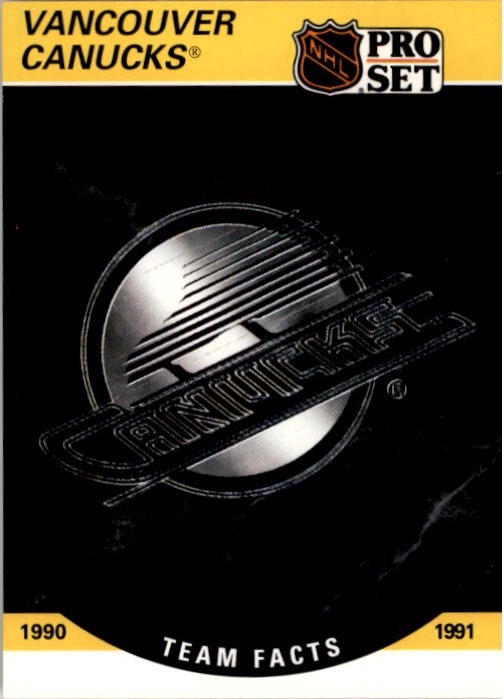 I became a Canucks fan literally because of a Pro Set logo hockey card, 90-91 series, you know the one. My dad grew up liking Bobby Orr and I somehow identified with Cam Neely! and Ray Bourque. I thought Ninja Turtles were cooler at the time and my cousin said “you should like the Canucks, they have this guy named Pavel Bure and he’s awesome!” That was it. So 25 years of the same thing year after year. Sure, there were some pretty good times in between but they never amounted to more than a second round exit or those few memorable losses in the Final. After listening to the most recent Pass it to Bulis podcast, they brought up how the pain, anger and bitterness from the likes of Tom Larscheid and Tony Gallagher are brought forward because they have seen this track on repeat way longer than we have. You can’t really blame them. Take sports out of it for a second; imagine being amazingly let down/disappointed every year by the ones you love, oh and sprinkle in some good times just for fun. You can’t say you wouldn’t snap at some point, its human nature. Now, back to the Canucks. These guys just continue to let you down and we just take it for granted. We deserve better. How many times did you try and beat the air ship level on Mario 3 just by keeping pace? Once you figured it out the P Wing was the answer, you dominated that one and Bowser was waiting for you. You felt pretty darn good didn’t you? Ya, you did; I did too! Even the most realistic fan could have seen that Radim Vrbata should have been back on the Sedin line or that Bo Horvat was ready for better linemates or that Willie should NEVER have continued to put Sbisa and Bieksa together. Do kerosene and blow torches mix well? NO! So you don’t try and force it. Cory Schneider deserved a start against Boston in 2011, imagine that ONE…MORE…WIN! At what point does a coach see past the contracts, past the BS and just want to outright win? The teams that adjust when things just don’t look right are the ones that move past the pretenders. There will be a day when the Canucks move past stubbing their toes on the same chair every day and move the FRICKIN CHAIR! It has to come right? When will the Canucks stop following in the footsteps of the San Jose Sharks, Edmonton Oilers, Toronto Maple Leafs and to a degree the Calgary Flames? Drafting local might be a fun way to start. There are so many examples of how Vancouver could have taken a huge step forward but missed the chance because a player out east looked better. I don’t have to bring up the names because you know them too! Forget about the goalie of the future because you have a few of them, take a chance and see how they pan out. There are players literally down the street or down the Coquihalla that can contribute at a high level, maybe watch a few extra games in Vancouver, Kelowna and Victoria. I don’t care who is on the Canucks when they win the Cup. I don’t care if (insert mediocre player name here) is the captain when it happens. Its the logo on the front and everything that came with it that I’m interested in. Don’t you think the LA Kings would have loved Gretzky winning the Cup there? You bet they would have, but 2 Cups in 3 years will make you forget that. 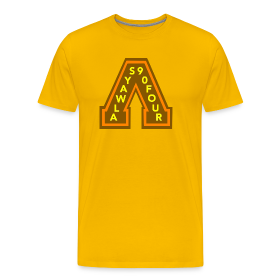 Always90four was started as an homage to the greatest Canucks team ever, but I would love it if that team could finally be put to rest because we finally can cheer for a champion, not a loss that was really close. 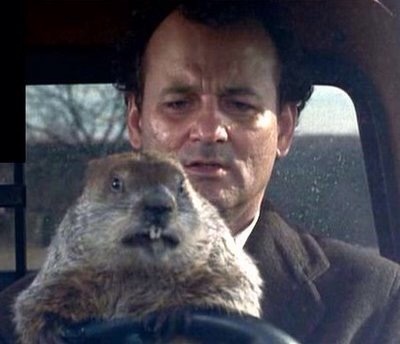 This current Canucks team has some pretty good pieces but unless they open their eyes and start REALLY planning the future, its Groundhog Day over and over. Im tired of Punxatawney Phil.